Whisk first 4 ingredients in a bowl. Slowly drizzle in olive oil while whisking. Add salt and pepper to taste. 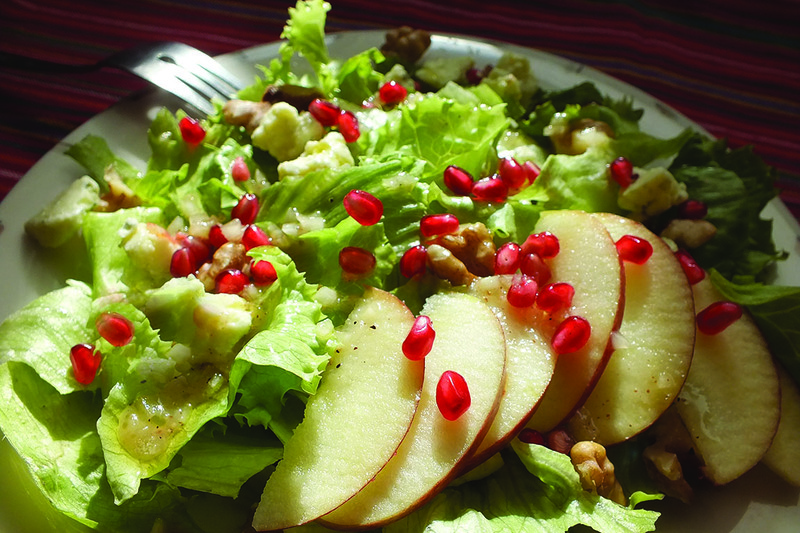 Place lettuce, apple, pomegranate seeds and walnuts in a large bowl. Pour in vinaigrette and toss to coat. Garnish with blue cheese. Serves 4.